I have been a teacher for more than twenty years and I think we all should share all our materials to help other colleagues. It is a good idea to create this kind of bank to share with teachers all around the world. 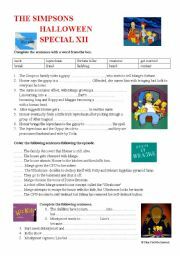 This is a worksheet to work with this special episode of "The Simpsons" so you need the DVD. 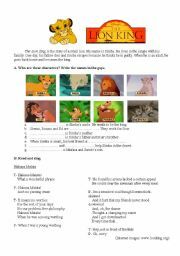 It is a worksheet to work with your students after watching The Lion King (or without watching it if they remember the main facts)It could be aimed to younger students. My students´ level is not very high. 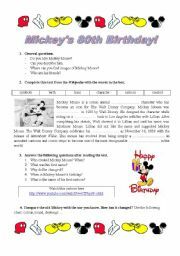 This worksheet is to celebrate Mickey Mouse´s birthday. 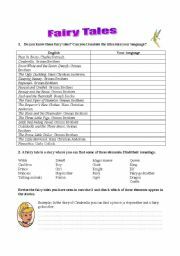 This is the first part of two documents to revise the main tenses in English. I hope you like it. 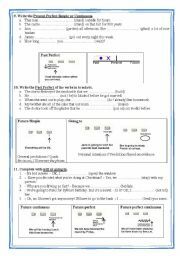 This is the second part of the two documents to revise the main tenses of English. Students translate into their language the titles of famous fairy tales. 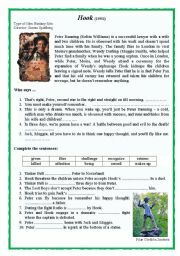 Then, they learn some basic vocabulary related to fairy tales. They have to write a small paragraph talking about a fairy tale they like. To practise how to say when you were born, what your sign is and talk about your relatives´ birthdays. 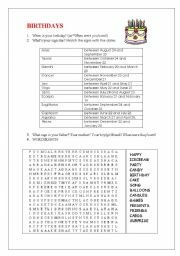 There is also a wordsearch to revise vocabulary related to birthdays. 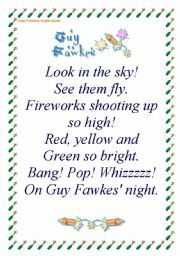 A chant to introduce this celebration to your students. You can teach it to your students or display it on the wall. 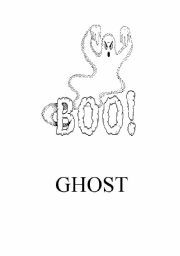 I use these pictures to teach vocabulary related to Halloween. I display them on the board, they spell the words and copy the meaning. Then, we play different games. The images were taken from the Internet.